Today marked the first time on the water for me in 2017. It seems very late, and I only have one person to blame...Mother Nature. It seems as though the weekdays are nice and then comes the cold fronts/wind on the weekends. Anyone that knows me would never call me a fair-weather fisherman, but lately it has been just nasty on the weekends. Just two days ago, temperatures were in the 60's, and today, around 40 and cloudy. Either way, I had to the river boat in the water to test some of the off-season updates we have made. To my surprise, everything worked! I just happened to bring along a few poles, as did Keith Donnelly so we might as well make a few casts! We ended up with a few largemouth and smallmouth bass, and a smaller pike. For the 90 minutes we were on the water, it was awesome. Casting, retrieving, it just felt awesome! 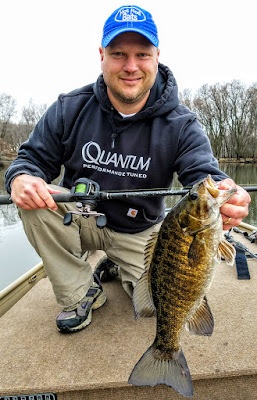 The boat wasn't the only thing I wanted to test out today, next on the list was the new QuantumPT Special Issue rods. I threw a jerkbait on the 7-foot Medium action model as well as a spinnerbait. There is tremendous sensitivity on these rods, which didn't surprise me a bit. After all they were fine-tuned by the Quantum Pros themselves much of last year. As I use them more I will surely update you on their performance, but for this quick trip, one word sums it up...WOW. year-round to catch these fish. Mother Nature ended ice fishing around the state much too early this year. With most lakes thawed completely, only the largest in the state still were partially frozen. 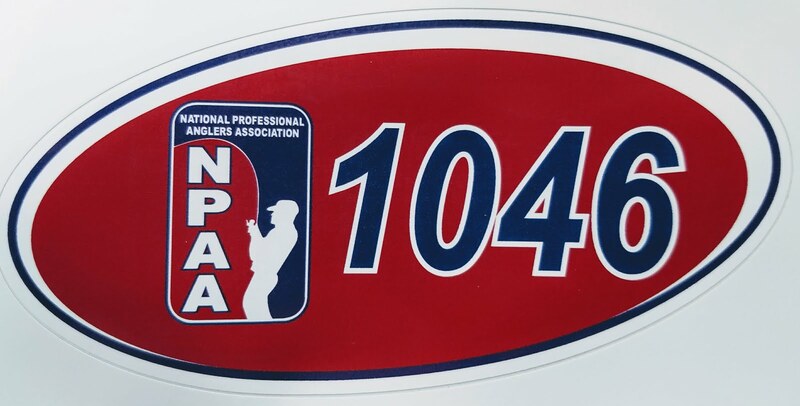 Mother Nature did do us a favor by a recent cold front last week, which sent temps in Norther Iowa into the teens at night. This was just enough to save the ice, and in reality even strengthen the ice for one last time of the year. Portions of Clear Lake was still frozen over and shoreline access was still pretty good. I had no choice but to travel north to take one last look at the ice conditions and see if they were reliable. I was in for one last day on the ice, but in the back of mind I knew that it could just be a long truck ride for no reason...either way, I had to give it a look. 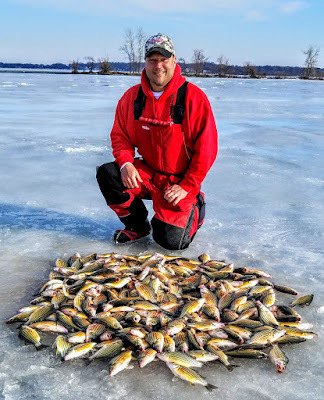 Mark Anderson was headed to the lake Friday afternoon, and I was so glad to get the text from him saying that the ice was in good condition. In my mind it was Christmas Eve...I really was going to get one more day on the ice chasing the hard fighting Yellow Bass. I was totally shocked when I got to the lake a little before 8am around the Farmers Beach area. 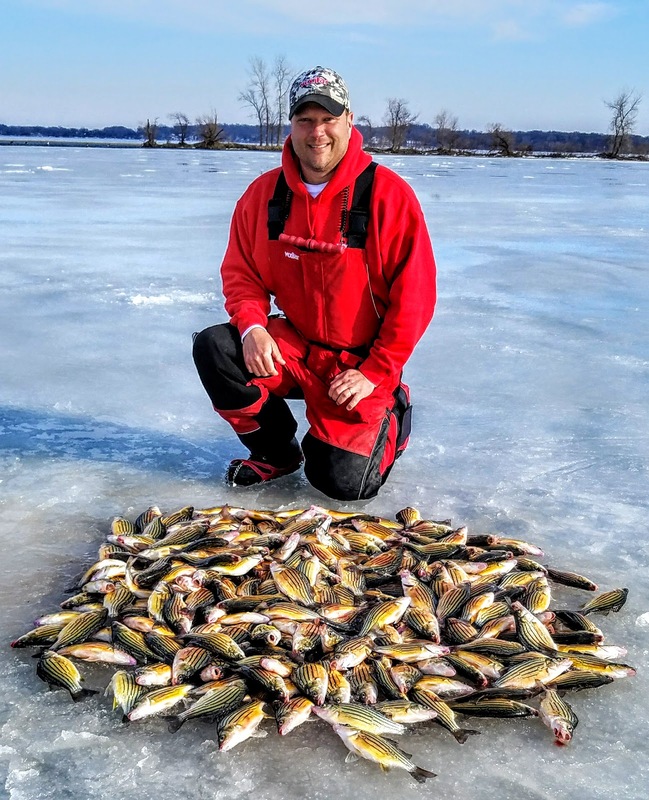 The ice was solid to the shore and several anglers were already out on the ice. Mark Anderson, Jacy Large and Scott Fischer were going to join all together today to team up against the yellows. Mark reported a very good bite in the main basin of the lake the afternoon before, so we were all very excited to get there. 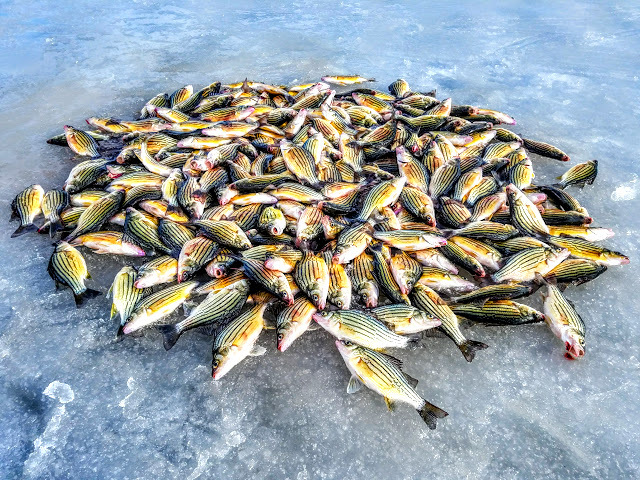 Well, Mother Nature was kind to make the ice very solid, however the strong winds out of the east sent the yellow bass into shock. For over two hours we drilled and drilled with no luck at all. 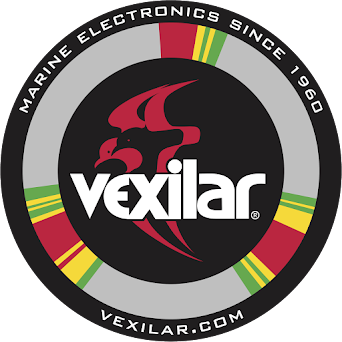 In a few areas the Vexilar FLX-28's showed some fish, but no bites, to say the least we were in shock. Instead of staying in the larger group, we decided to split up. Mark and I kept drilling across the lake to no avail, not a mark (ice was consistently around 10 inches). We settled in to some shallow weeds and caught a few perch. At this time it was time for plan Q. Mark hopped over to the little lake and found the ice just as good, 8-10 of good ice. I stayed and poked around the weeds where the ice was not great, honeycombed but yet still sturdy. I found some crappies and a few more perch, but then Mark found the yellows. There were about a dozen or so anglers already on the little lake, and the fish were biting. All of us joined him soon after that the bite was fantastic for the next 4 hours. Yellow after yellow came topside the ice and we were all wearing smiles and having a blast, the day was saved and we all went out on top at the end of the ice season. Working together as a group really paid off, as we could find the school as it moved around. Quickly drilling holes to area where fish were seen on Vexilars. It was an awesome way to end the year, well, besides walking all the way across Clear Lake! ~~~Please use extreme caution if you venture on the ice, the top of the ice was deteriorating quickly in the afternoon with the sun high and wind howling. The ice that we fished on Saturday, March 4th will change by the hour with the warm temperatures. Use every safety precaution if you venture out anywhere.